A violin, that has been made to commemorate 100 years since the start of the First World War, will be used during a special performance of Phil Porter’s new play, The Christmas Truce, at the Royal Shakespeare Theatre in Stratford-upon-Avon. The play is inspired by real events of the First World War. 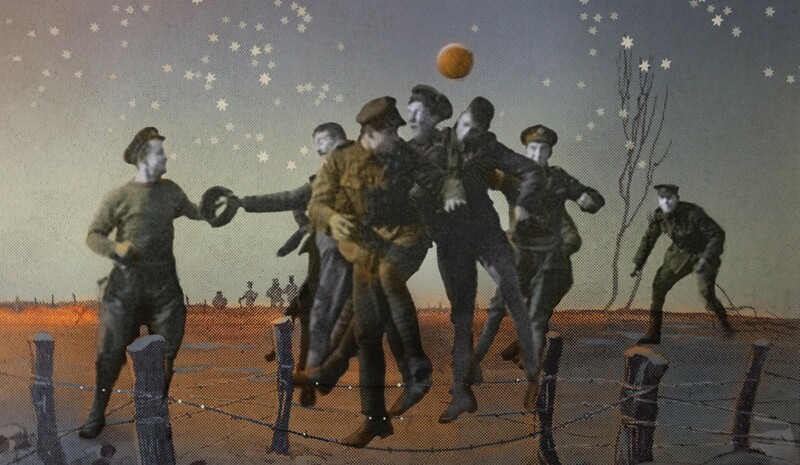 The performance on Christmas Eve will mark exactly 100 years since soldiers along the Western Front left their trenches to meet their enemies in No Man’s Land to talk, exchange gifts and play football. The Wilfred Owen Violin will also be used during the RSC’s annual Christmas Carol concert held in Holy Trinity Church on December 22. The violin is made from wood taken from the branch of a sycamore tree that is within the grounds of Craiglockhart, a hospital in Edinburgh. The hospital was an important military psychiatric hospital during the War for the treatment of shell-shocked officers. 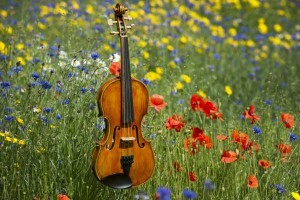 One of their most well-known patients was the war poet Wilfred Owen, after whom the violin is named. The violin has been made by Steve Burnett, an Edinburgh instrument maker. He said: “For some time I have had in mind to make a violin/fiddle to honour the memory of Wilfred Owen and his generation. “Now is the most fitting time to realise this idea, with the centenary of the beginning of the Great War. “Both Owen and Siegfried Sassoon convalesced at Craiglockhart when it was a military hospital, so the first choice of wood for this violin naturally is from one of the trees standing within the grounds. “The wood has been taken under professional supervision in a standard pruning operation with no long term harm to the tree’s welfare”. Bruce O’Neil, RSC head of music said: “The Wilfred Owen Violin is not only a fine musical instrument in itself, but a powerful symbol of regeneration and, literally, an instrument of peace. “Featuring the violin in our Christmas Eve performance of Christmas Truce will contribute to what I am sure will be a highly charged and emotional event, in ways both tangible and impalpable”. The Christmas Truce draws on the story of Warwickshire Regiment Soldier and local cartoonist, Capt. Bruce Bairnsfather, who worked at the original Shakespeare Memorial Theatre as an electrical engineer. The Christmas Truce runs from November 29 – January 31. Massive tragedy set for Nuffield Theatre this spring!